Sport Utility vehicles (SUV) topped pick up trucks as the most popular type of vehicle purchases in Alberta for 2017. If you are in the market for an SUV you maybe wondering, ‘which brand matches my lifestyle and comfort requirements?’ This can be a daunting question as every manufacturer has multiple options and sizes of SUV’s. Two of the most popular brands with multiple SUV lineups are GMC and Ford. SUV’s need to have enough power to do what you need it for. Ford‘s EcoBoost technology debuted in 2009 and is available as an option on many Ford Models. While GMC SUV’s don’t offer this option, they still have enough power to get the job done while remaining economical. 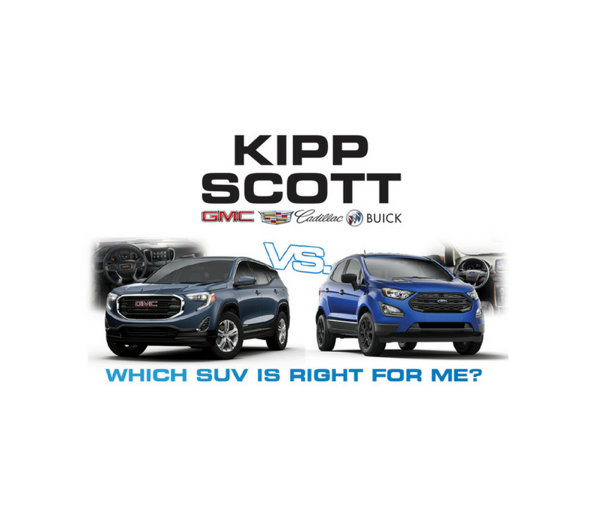 Please view our comparison diagram provided in the photos section of this article to view just some of the differences between the SUV line up between GMC and Ford. There is so much to compare between these two brands and a great way to do it, is test drive the line up. Come in today to see which one is best for you! Moreover, the much anticipated report of the U.S. International Trade Commission undercut the Trump administration’s rationale for forcing a renegotiation of the North American Free Trade Agreement, said one leading Canadian trade lawyer. The new report arrived in the face of rising doubts in some quarters about the real impact of the U.S.-Mexico-Canada Agreement, or USMCA, and with political roadblocks to ratification piling up in all three countries. The trade commission tome — all 379 pages of it — landed Thursday after being delayed months by the 35-day shutdown of the American federal government. Its findings are significant because it is widely viewed as a neutral body that can provide a sober assessment of the economic merits of the new deal, which faces growing opposition — primarily from Democrats who want to deny Trump a political victory on a trade deal he sees as positive. The commission predicted modest economic growth in the U.S. as a result of the agreement — a 0.35 per cent increase in gross domestic product and 176,000 new jobs, an increase of just 0.12 per cent. “That’s it? All this time and all this headache, and the disruption to the North American supply chain and to the companies for the sake of 176,000 jobs?” said Cyndee Todgham Cherniak, a Toronto-based international trade lawyer. The report also predicted that U.S. exports to Canada would increase by $19.1 billion, and that U.S. imports from Canada would also increase by the exact amount — $19.1 billion. Todgham Cherniak said the identical figures debunk the American raison d’etre for renegotiating NAFTA — that the U.S. was suffering under an unfair trade deficit that needed correcting. That figure was not lost on Foreign Affairs Minister Chrystia Freeland, who railed repeatedly in the long NAFTA talks against the U.S. argument that it was facing a trade deficit. “According to that main U.S. report, what they’re saying is the new NAFTA benefits both countries … I think that is a classic win-win outcome,” she told reporters at the Algoma Steel plant in Sault Ste. Marie, where she continued to decry “illegal” U.S. tariffs on Canadian steel and aluminum. In the crucial auto sector, the assessment was positive but with one caveat: it might make autos more expensive for consumers because of new content rules that would prevent the use of cheaper, foreign parts — something Trump has railed against as being a job killer in the U.S. The complicated content formula for what constitutes a North American-made auto — known as rules of origin — and updated labour provisions aimed at Mexico were key issues in the contentious NAFTA renegotiation. 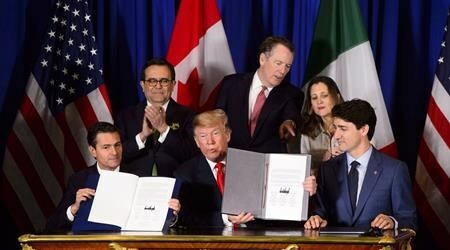 Dan Ujczo, a trade lawyer and Canada-U.S. specialist in Columbus, Ohio, said the analysis confirms that the U.S. is never going to get a better deal with Canada and Mexico than the current agreement. 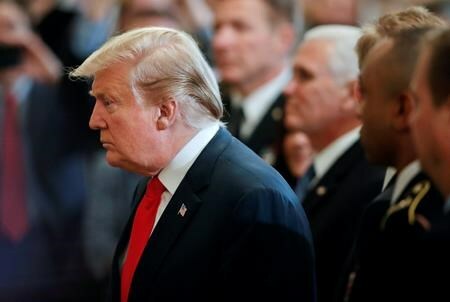 But he suggested it’s all probably moot given the wider political turmoil unleashed by the Mueller report, which examines whether the Trump campaign colluded with Russia to meddle in the 2016 presidential election. “Unfortunately, today’s other report is going to consume Washington for the remainder of the spring and likely stall consideration by Congress in 2019,” Ujczo said. The Trump administration anticipated the arrival of the trade commission’s unvarnished assessment by launching a new charm offensive to sell the merits of the new free trade pact, and to counter growing skepticism about the economic benefits of the deal. The U.S. Trade Representative said Thursday the new, yet-to-be-ratified deal will bring auto jobs back to the U.S. from Mexico. In a new nine-page “white paper,” it said the new continental trade deal will generate $57 billion in new auto manufacturing investments and create 76,000 new jobs in the American automotive sector in the next five years. A senior USTR official, who briefed journalists on the condition of anonymity, dismissed a report from the International Monetary Fund last month which said the new rules of origin and the labour provisions would lead to a decline in vehicle production in all three countries. The new USTR report, however, made no mention of the punishing steel and aluminium tariffs that Trump imposed on Canadian and Mexican steel imports — duties both countries cite as obstacles to ratifying the new pact. Flavio Volpe, the president of the Canadian Automotive Parts Manufacturers’ Association, said that there is no way that the U.S. automakers came meet the new content requirements for autos with tariffs of 25-per-cent and 10-per-cent on Canadian and Mexican steel and aluminum still in place. “You can get there, but you won’t get there profitably,” said Volpe. OTTAWA — The push for the speedy passage of the new NAFTA is getting a boost from a big advertising campaign in the United States.